Cowshed Cottage01594 833259work Self-cateringA warm welcome awaits you at our recently converted single storey cottage overlooking an historic courtyard. Stunning views and beautiful walks from your back door. 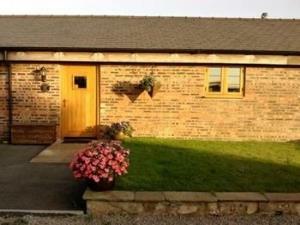 Cowshed Cottage provides a rural refuge from the hustle and bustle of everyday life! Beautifully positioned on the border of England and Wales in an Area of Outstanding Natural Beauty (AONB). A warm welcome awaits you at our recently converted single storey cottage overlooking an historic courtyard. Stunning views and beautiful walks from your back door. Follow historic footpaths over our farm managed under environmental guidelines. There is a wealth of wildlife including foxes, badgers, deer, buzzards, woodpeckers and bumble bees. Explore the best of England and Wales from this ideal location. SHORT BREAKS AVAILABLE. Superbly located for golf, walking, canoeing on the River Wye and fishing. Please contact us as we have a wealth of local knowledge! Children welcome from any age. M50 to Monmouth, then follow A4136 to Forest of Dean, pass through village of Staunton. At traffic lights turn right towards Coleford. Next cross roads turn right. Pass Scowles turn, sharp bend and hill to right - fork left and then property is situated on the right hand side.